#3859737 Custom Dust Covers for Classic Consoles/11/23/17 Happy Holidays! 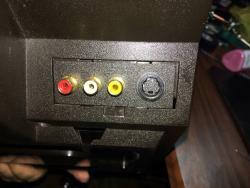 #3780326 Custom Dust Covers for Classic Consoles/11/23/17 Happy Holidays! I would still loan my TG-16 if they want to make a cover. I got mine to day! Works great. Thank you!!!!! 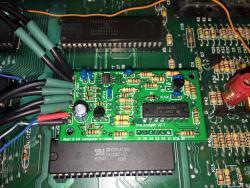 #3713992 Price surge for Intellivision Flashback Overlays? Although after looking at the bids I am suspicious of the one that won with a feedback rating of (1) But nevertheless the bid just before that looks real and was still offering 300.00. Please add my to this wonderful list. I finally got the mod installed. At first I was getting a solid yellow screen. I doubled check all my connections and found nothing connected wrong. 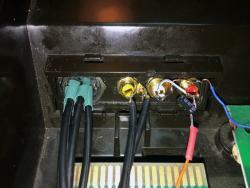 I still did not work so I did a continuity check and thought I may have a short on the 5 volt line to ground. 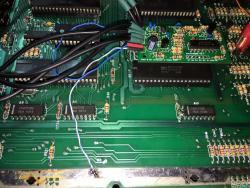 So I moved the 5 volt line to another spot on the board and tried again with no luck. 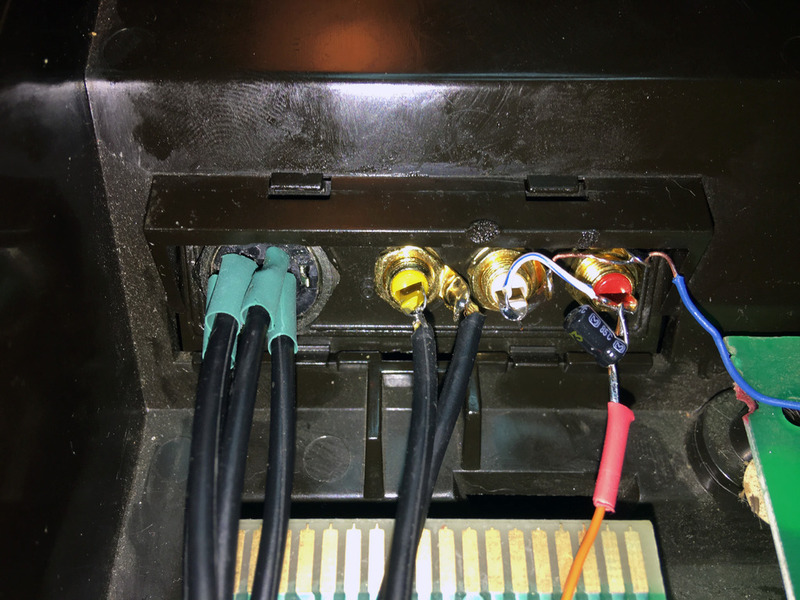 I pulled the wires from the S-video and re-soldered everything and it still did not work. I figured I fried the board. 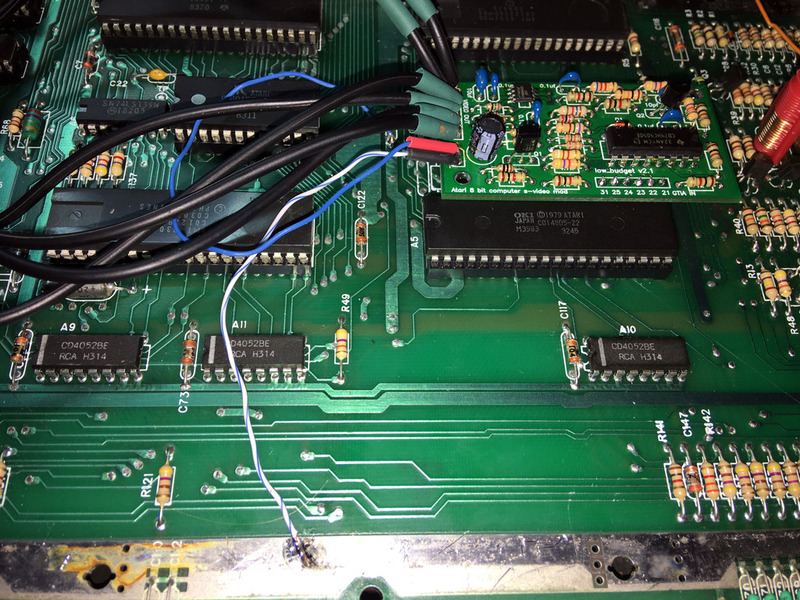 One last ditch effort I removed the TIA chip and re inserted it and it Worked!!!! Thanks for the tips and the screen shots. Crossbow your FB page also helped. 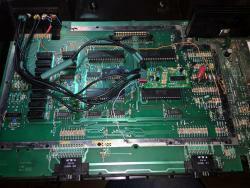 #3489134 Coleco Chameleon .... hardware speculations? 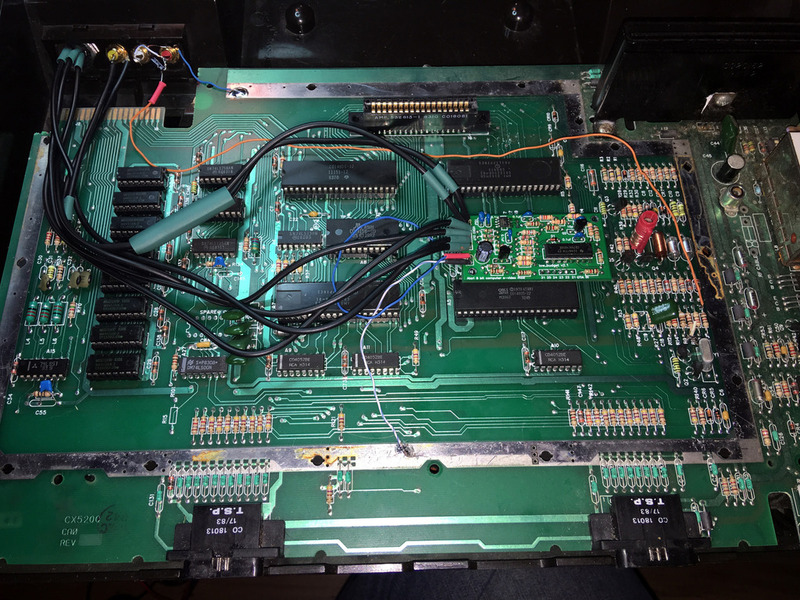 “The Coleco Chameleon is still alive and well by debuting the fully functional Coleco Chameleon Dev Kit at the annual Midwest Gaming Classic for the reasonable price of $12,000 US Dollars. 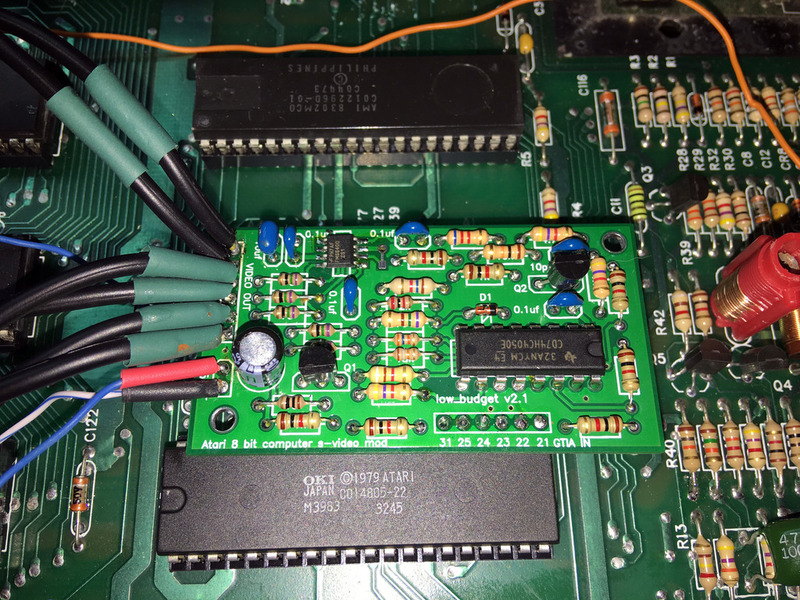 Be the first (and only) one to develop new cartridge based games for the system. 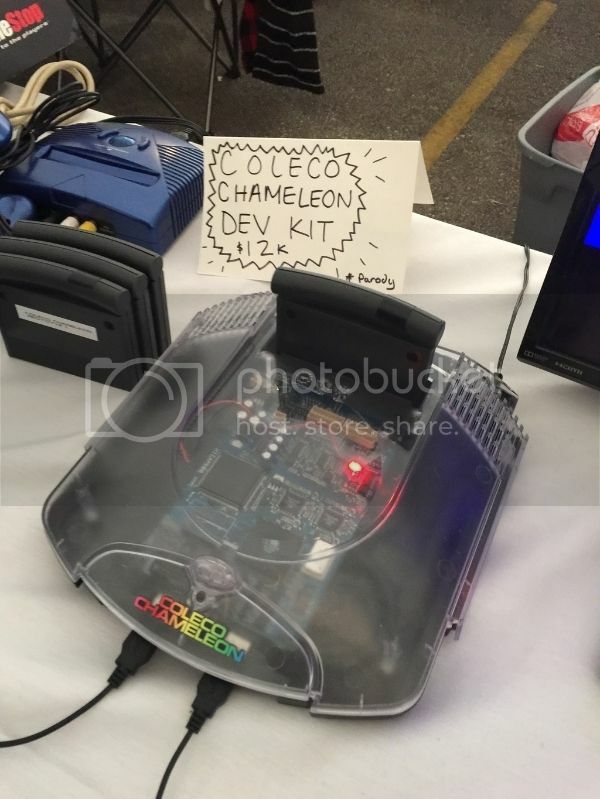 The kit includes a clear cased Chameleon complete with a fully functional DVR board, two Super Chameleon Controllers, the new Chameleon Remote control used to simulate the famous rest bug found at the Toy Fair in NY, and last but not least a fully operation Chameleon 30 inch LCD monitor. Hurry now before this one and ONLY dev kit is sold. 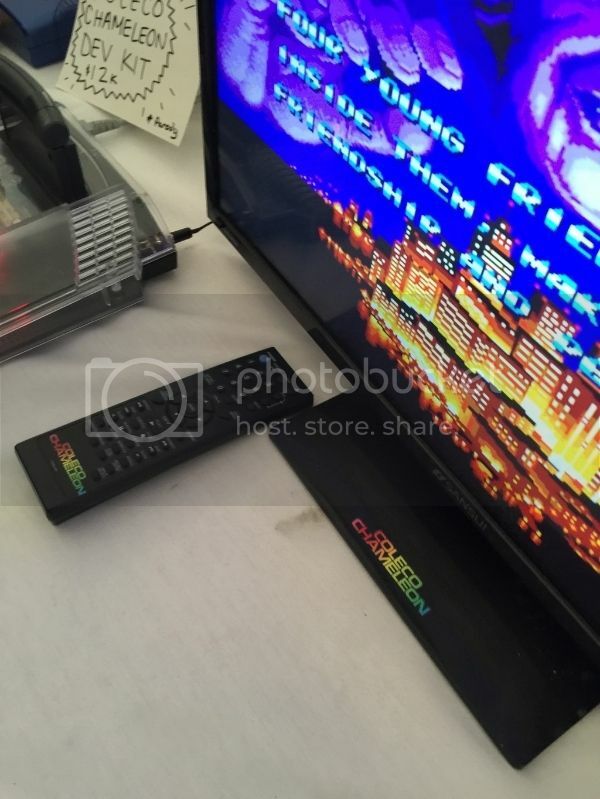 In all seriousness I did come across this mockup at the Midwest Gaming Classic. 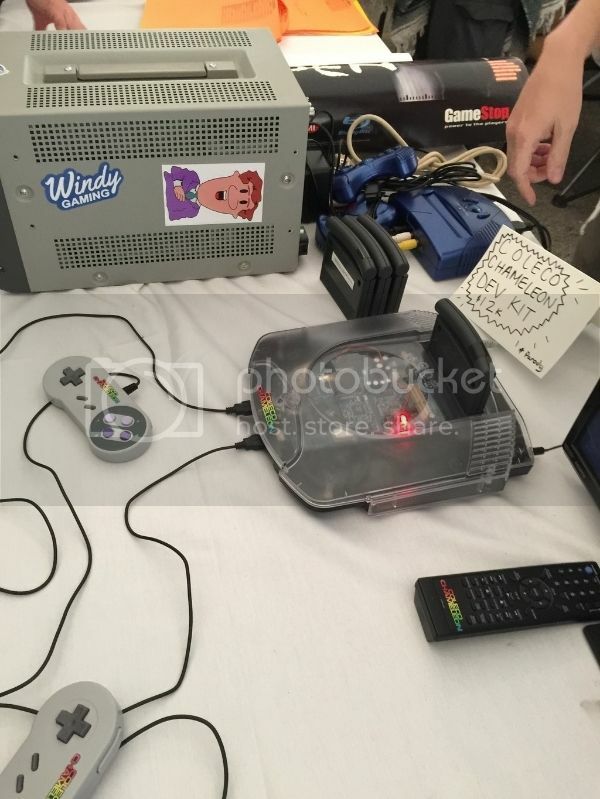 And at first I said, No way is this for real, are they really trying to sell a dev kit at the show. Then I saw the price and the words parody. Then I talked with the guy who put this all up and he said it was all for fun. I don’t post much but I could not resist. 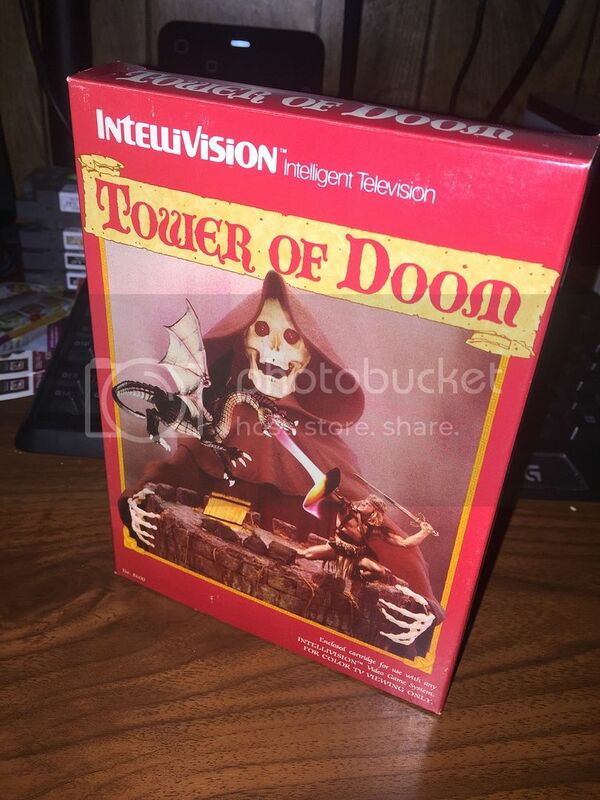 This has to be one of the best looking boxed copies of Tower of Doom I have ever seen. 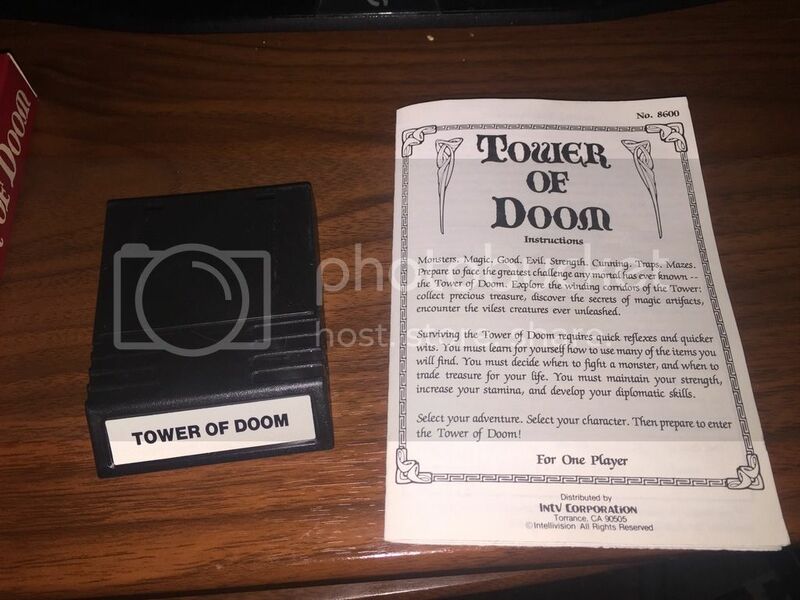 I picked this up in a local Game Exchange for 65 dollars. 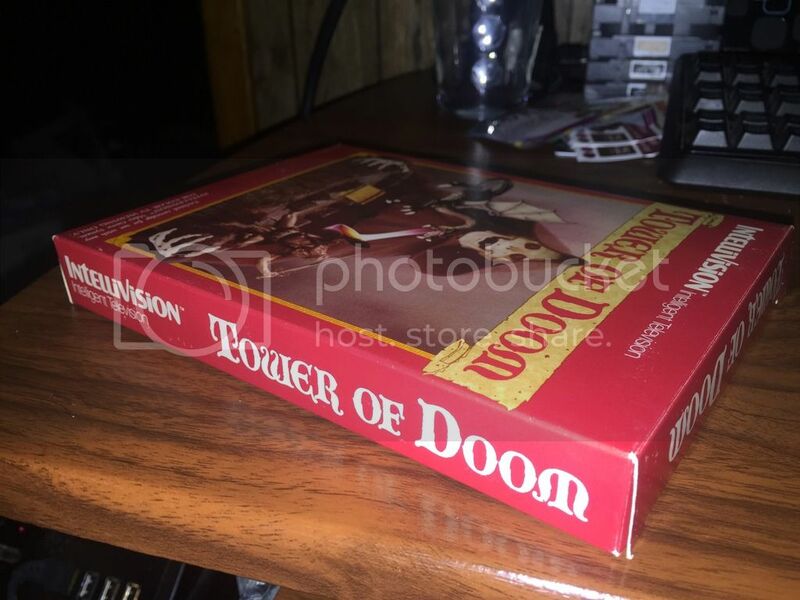 I know this goes for about that price on EBay but none of them have ever seem as in good shape as this one. Being in disbelief I had to do a search to see if there were ever any reproductions made of this and I was never able to find one. It seems legit but its hard to believe. Here are some of the pictures and a link to more photos. 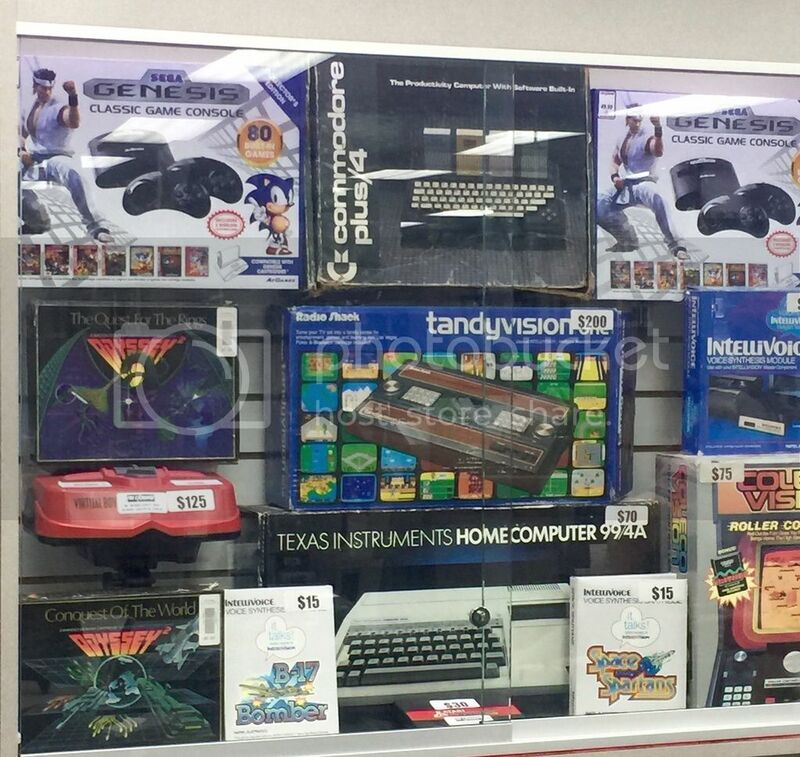 I was in a local used game store called "The Exchange" and found a slew of retro comuters and systems. 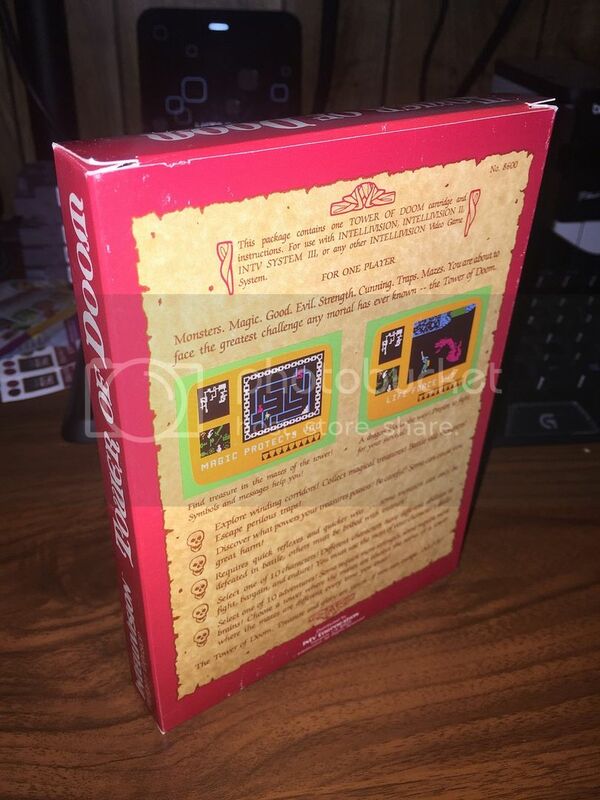 I was shocked to see this boxed copy of an Adam there going for $650.00. 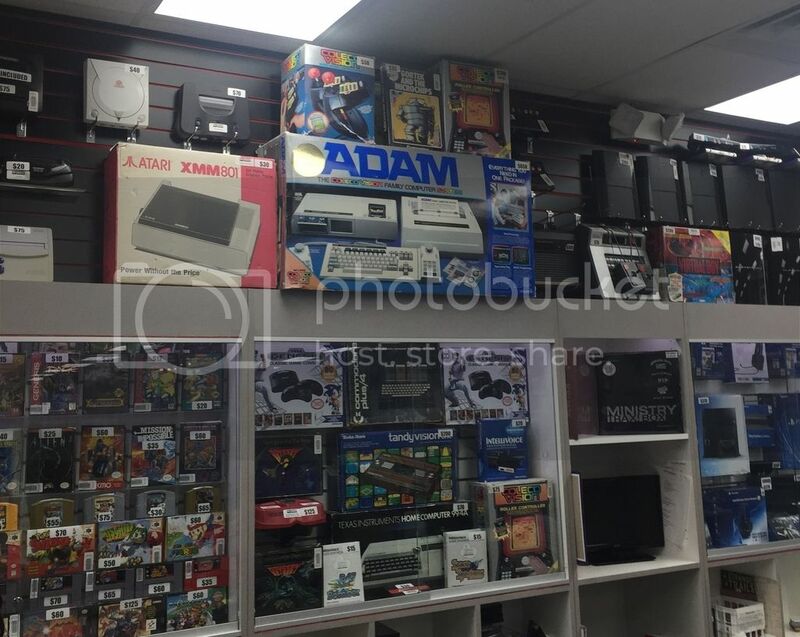 I am not very familar with the Adam collector market so I am not sure if this is a good deal or not. If someone is in North East Ohio and may want to check this out I figured I would post this. Here is another picture of some other stuff. Sent a PM. I am interested in one of each!